This week, the challenge at There She Goes is brought to us by me!!! I am challenging YOU to make a card or project using the provided inspiration photo!! For my card, I originally was going to go with a Winter theme but my creativity took me in a completely different direction. It's amazing how that works sometimes right? For my card, I decided to use the TSG set called "When I Grow Up". I still went with the colors from the inspiration picture and made sure I used some Chevron DP to mimic the lines. The image was watercolored with a combination of Tombow Markers (skin) and Distress markers (everything else). I'm looking forward to getting to play with the Distress markers more. 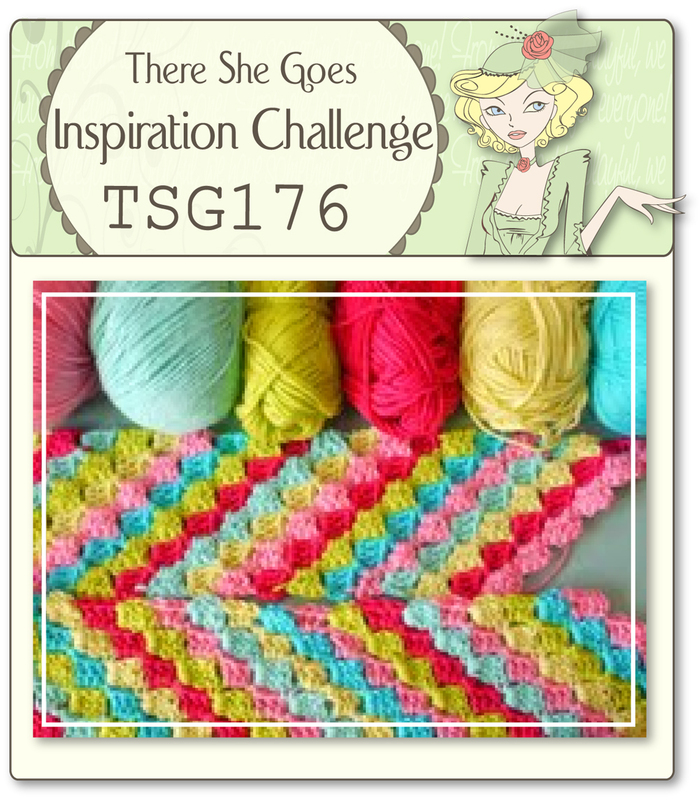 To be eligible for the giveaway, create a card or project using this week’s challenge and then come back to the TSG Blog to add your name and a link to your project in the InLinkz that is located at the bottom of this challenge post. This challenge is open until the winner has been announced on the following Monday (October 15th). The winner will get a $5 gift certificate to use in the TSG Web store! You do not need to have a blog to be able to participate in the TSG Challenges! You can simply add the URL link from your project after it has been uploaded to your online craft gallery. If you upload your card to an online craft gallery, please use the keyword TSG176 so we can check out your beautiful work! Eeeks...Angela love the sentiment...when I could wear heels etc. I made a monster shoe shopper with my oldest...well, I WAS a monster shoe shopper at that time! Fabulous!